I don't really know what is happening right here but like, gotta include the candids, right? K cool, now you're loling right??!! 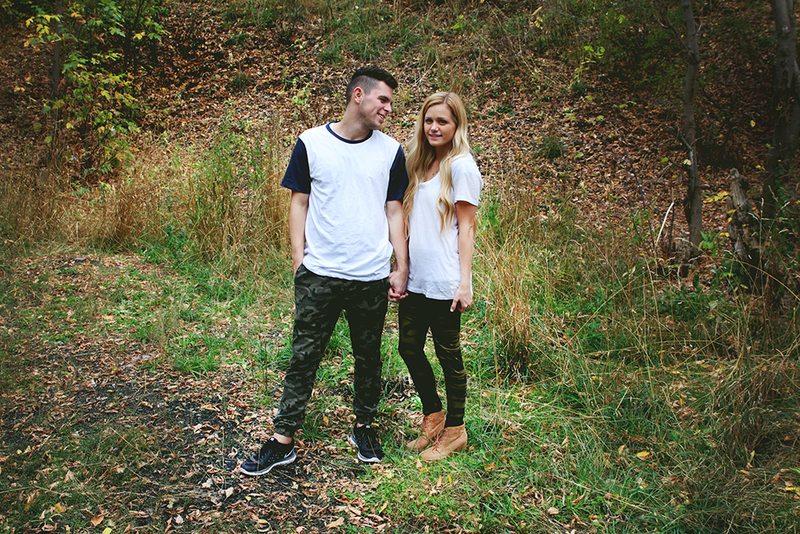 Jason WAS wearing his army pants first and so I couldn't not capture us matching haha he is such a good sport! Anyways HAPPY FRIDAY. omg praise the weekend my friends. We have NO plans this weekend, it's kinda great. I will pretty much just seclude myself to the sign room all day on Saturday while Jason is at work and get orders done like crazy. ps yes we have an entire room in the house dedicated to wood sign making. I've been staining signs all week so I literally look like I have dark pigment spots all over my arms, s/o to the wood stain for that. Also r.i.p to my luffa who gave its life to get most of it off. Ok so I have a proposition. 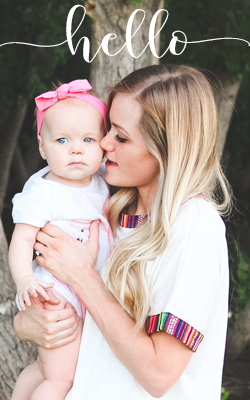 So I've been watching Aspyn + Parker vlogs lately and holy cow I love them. They seriously make me want to start a vlog like right now. But would that even be cool?? I don't know. Should we vlog every now and then? I think Q + A's are fun but do you even have any questions for me?! I don't know. I've been contemplating it all week (such a long time, I know) I guess we will see what happens! I brought up the idea to Jason the other day and he didn't decline sooooooo...!! 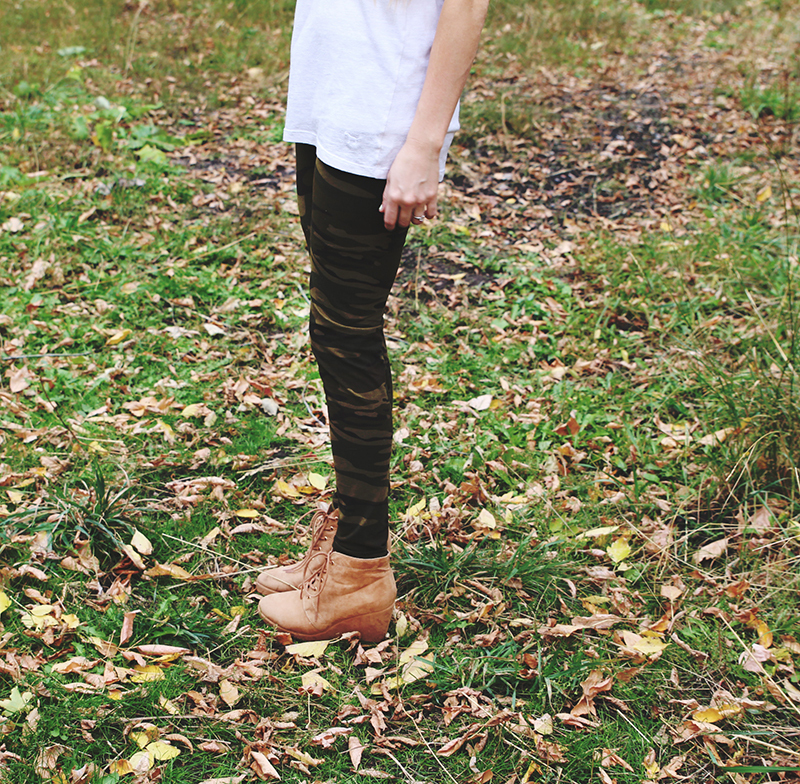 So let's talk about these leggings for a second. White Plum Boutique let me pick a pair of their leggings out. There's SO MANY OPTIONS so it was kind of hard to pick just one. 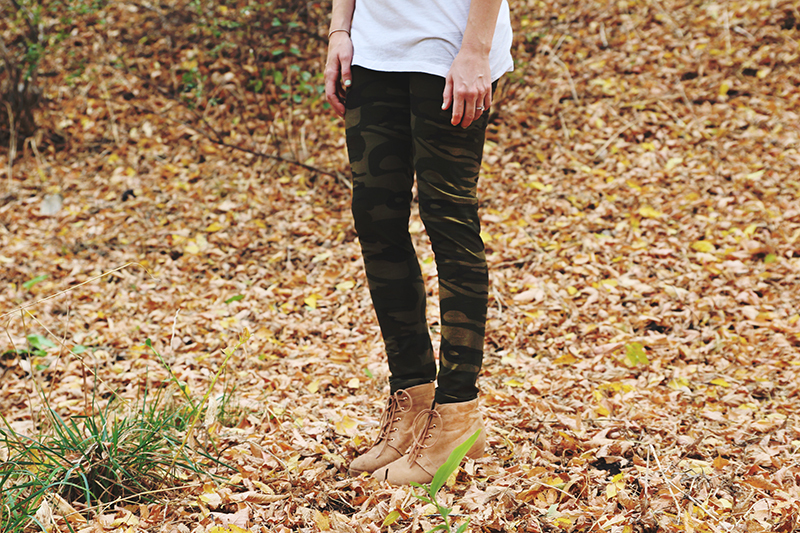 But I've been wanting camo print leggings for forever so right when I saw these I had to have them immediately. 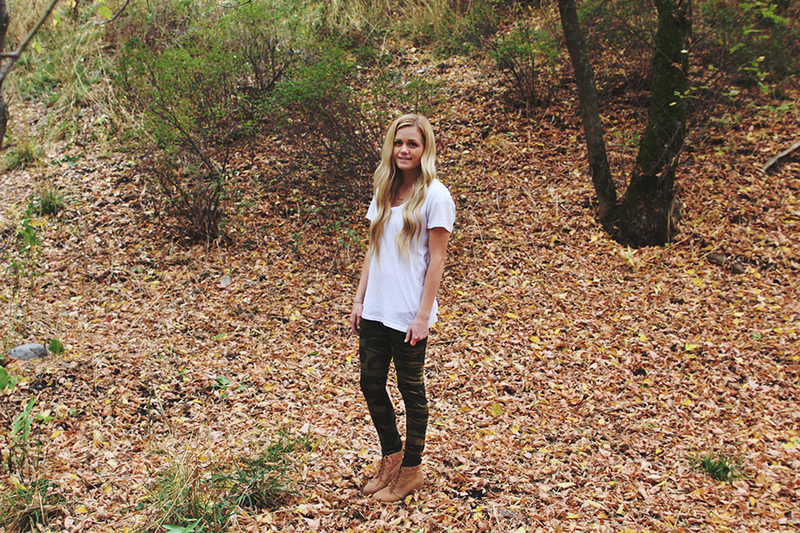 I'm quite the legging advocate around here and so good leggings really speak to me. ;) But seriously Jason asks me to wear jeans every now and then because I wear leggings basically everyday. Anyways, they came in the mail and they literally feel like they're made from bunny fur. Minus the fur part. The material is SO soft and stretchy and I would wear these everyday if I could get away with it. Aka if no one would notice that I never wear different pants. They are offering you guys 20% off on your entire purchase with the code LLR20 until 10/13 so take advantage of that this second! 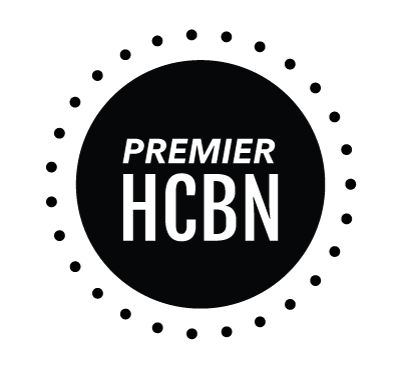 I hope you guys all have a great weekend and seriously thank you for reading my blog! A handful of people lately have been telling me that they read my blog and I just think it is so nice of you guys to take your time to read my blog!! Seriously thank you!!! Thank you!! hahah yeah I decided wedges were just a little cuter than flip flops ;) silly Cady! Thank you Jessica!! I've been branching out on getting more patterned leggings lately :) haha A white shirt always goes with the patterned ones I think! I got the reference immediately! Lol. The leggings are super cute! Also, I love lazy weekends so enjoy!! Um, yes y'all should definitely vlog sometimes. My husband came home with a random pallet the other day and announced we would be crafting it somehow. I immediately thought of you and your gorgeous signs! I'm thinking paint craft it and I think he's thinking build something with it... ah,well. K you are awesome. Just saying. If you guys make something of it I want to see what you do!! Yay sign making :) I bet yours will turn out super cute, too! Yesss I knew you would get it! I feel like we're into a lot of the same stuff haha :) and you are so nice! I want to try a vlog so bad, maybe we will! I'll need your feedback though!! haha I replied to all your comments today, hopefully I'm not filling up your inbox too much! hahaha i love it!! that is the best movie ever!! gotta admit :) and love the whole outfit! might need to copy, it's only natural right?! Thank you so much, Leslie!! :) I hope you do, too! "If you're from Africa why are you white?" Love mean girls so much. Haha!!! I love this!! Too cute! 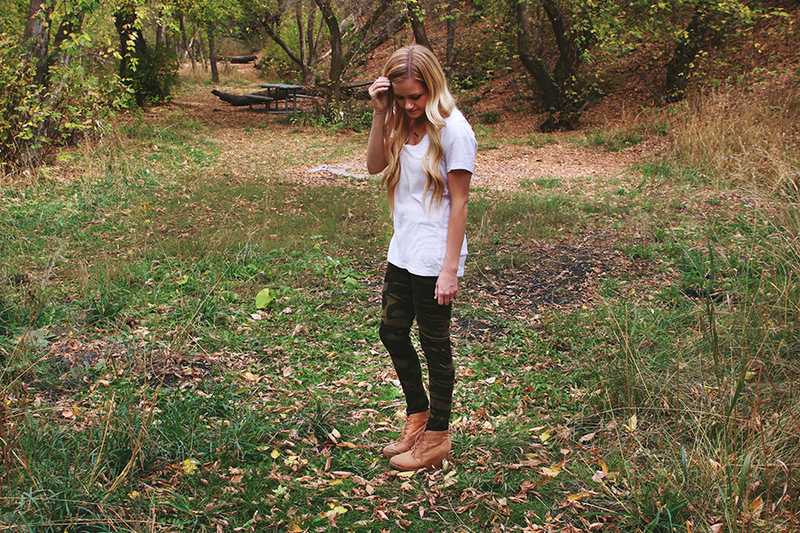 And you look amazing in those army leggings girly! Mean girls is brilliant! Totally understood the title ;) also, you'd be the cutest vlogger! For reals!!! Do it!!!! You guys are the cutest! 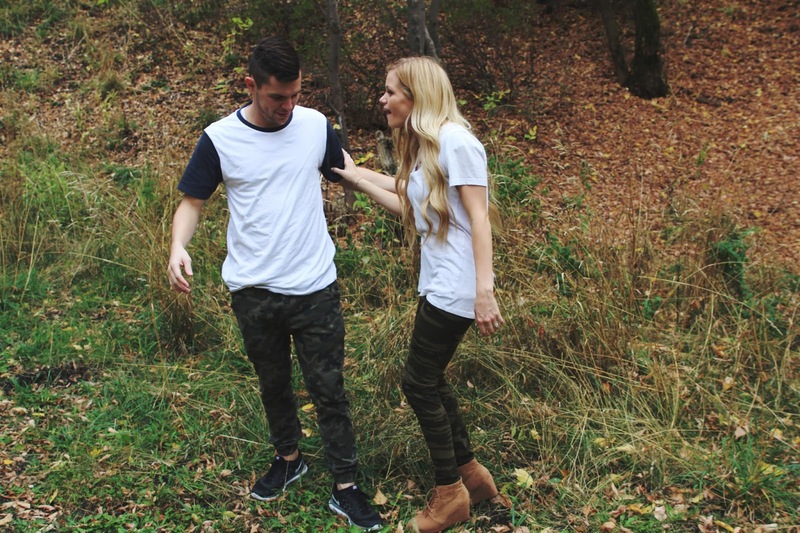 I have a pair of their leggings and they are the softest thing ever! I would pull mine out but it's pretty much like an oven here. I totally got the title and totally loved it! And YES to your vlog idea! So fun! You are too cute!! Loving your outfit! Thank you soooo much, Emily!! Candice! I always look forward to your posts for your writing style. The line about your luffa giving its life had me cracking up.